This 4.2 cubic foot stainless steel outdoor refrigerator by Fire Magic is an outdoor kitchen essential. This perfect match to Echelon and Aurora Fire Magic Grills, the Outdoor Refrigerator has an all stainless steel door with Echelon-style handle. It has an interior light, crisper drawer, can dispenser and a security lock with key. 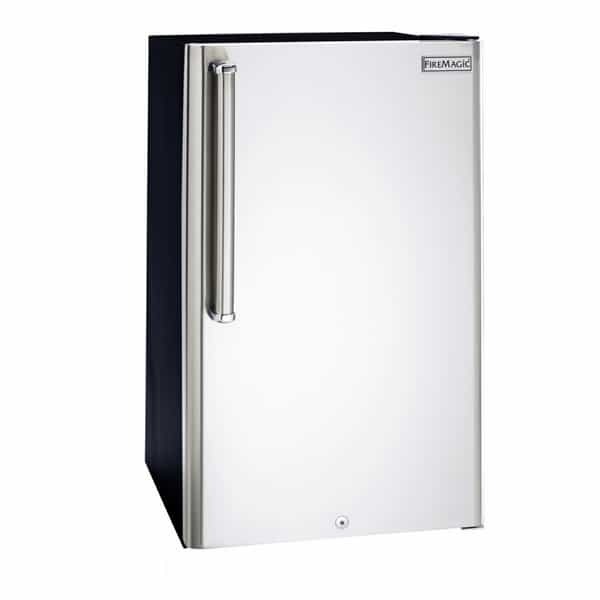 You will love the convenience of having this exceptional refrigerator right at hand.